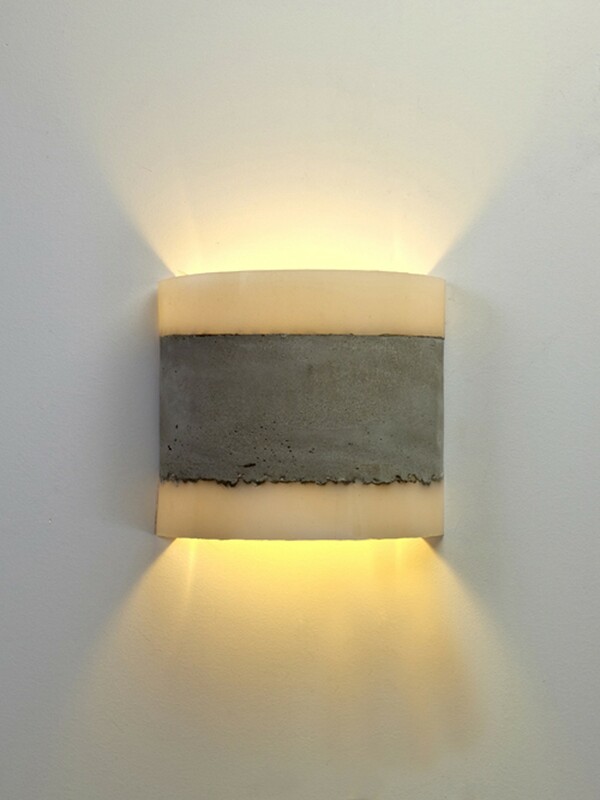 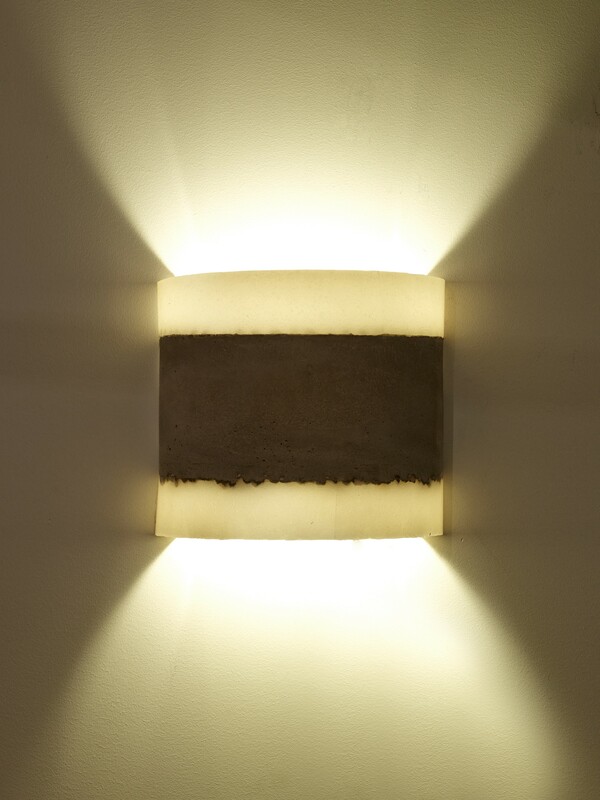 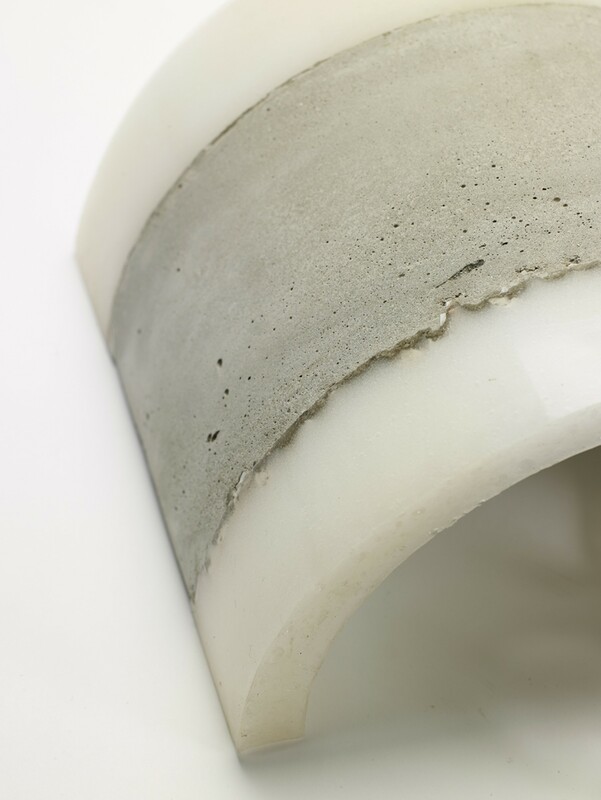 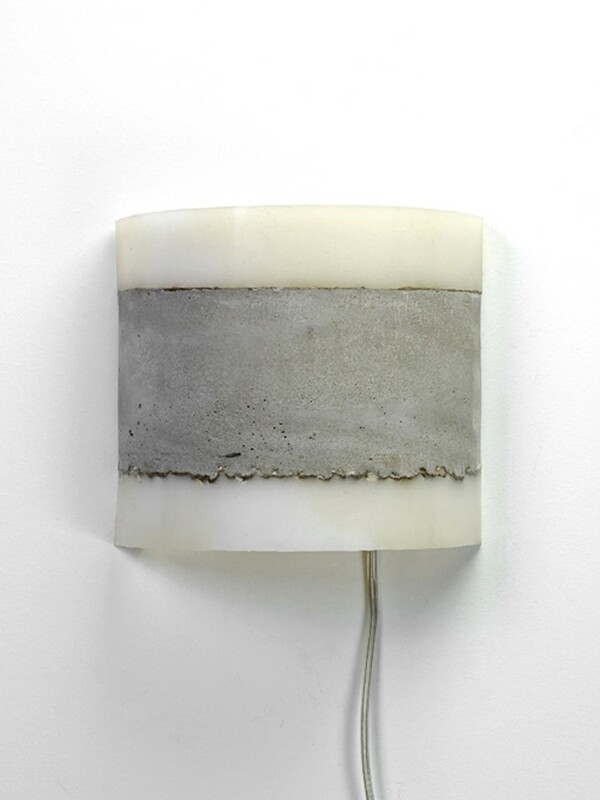 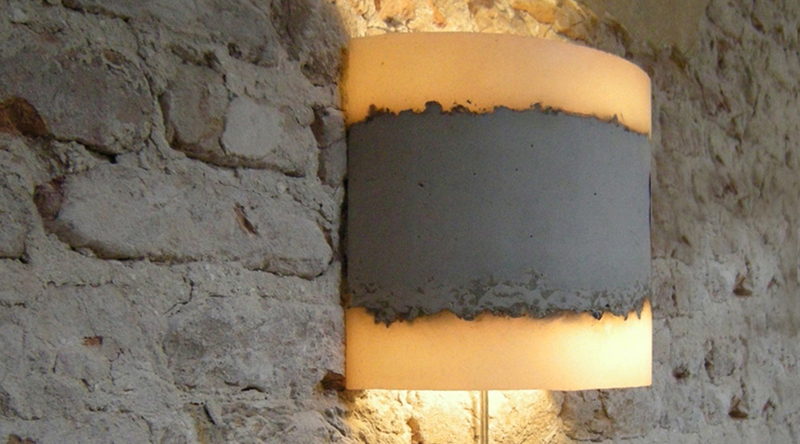 This wall lamp is developed out of a material experiment of concrete and silicone rubber. 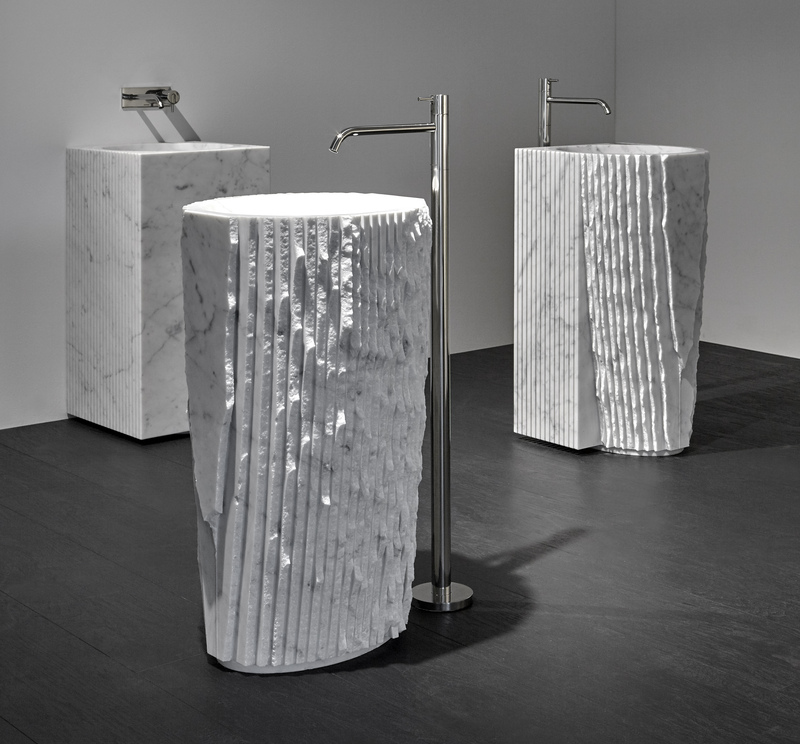 The jagged meeting point of these two contrasting substances celebrates the fusion of soft and hard. 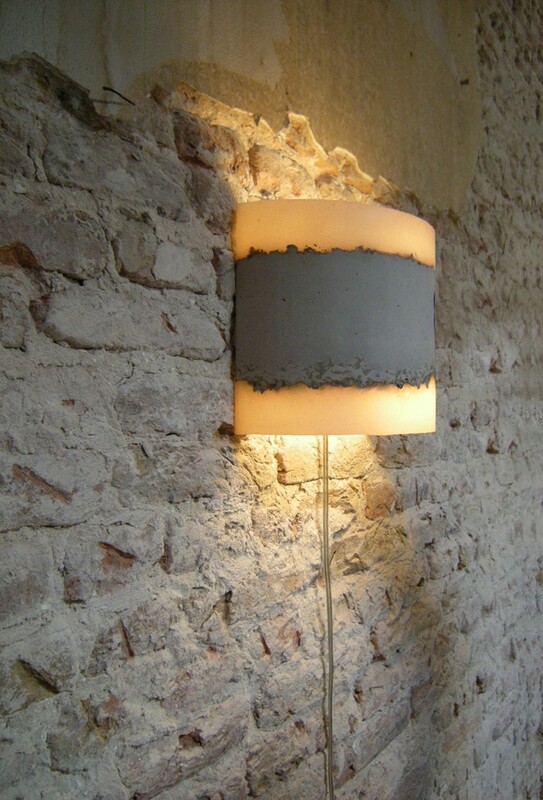 By using these materials, the lamps emit a warm light that contradicts the series’ industrial appearance.